SAN DIEGO (Hypebot) – While digital music services like Pandora may have gained the adoration of casual music fans preferring the lean-back approach to music discovery, music enthusiasts – those wanting to be the first to discover up-and-coming artists – may find much to be desired, as newer artists tend to get lost in the shuffle of hits and classics. To remedy this, Slacker Radio has created a solution for the music enthusiast in the form of their “New Music First” stations for the alternative, country, hip hop, indie, metal, pop, R&B and rock genres. Running a song through Pandora’s algorithm takes time, and by the time it makes its way there, it’s likely no longer an undiscovered gem. Conversely, slacker says that their music curators attend 2,500+ shows around the world each week to bring their audience the music from both established and emerging artists that’s no more than six weeks old. • Hear tomorrow's music today on New Alternative First. This is where we put all the brand new music- as soon as we get it. Emerging artists, new releases, only cutting edge music. • New Country First on Slacker Radio is where you'll discover tomorrow's hit makers today. Up and coming artists, Nashville hopefuls, and new releases- you'll hear it all here first. • Beats, rhymes, and swagger from the future- that's New Hip Hop First on Slacker Radio. This is where you will hear artists on the come-up, new releases, and only brand new Hip Hop. • This station is Slacker Radio's launch pad for all things Indie. From Chillwave to Witch House and any other ridiculous sub-genres that may develop- you'll always hear it first on New Indie First. • Metal's not dead- it's just evolving. On this station, you'll hear new releases, emerging artists, and brutal metal that you'll never hear on the radio. • This is your station for Future-Pop. New Pop First on Slacker Radio introduces you to tomorrow's hits today. Be the first to hear emerging artists, new releases, and even tracks that the radio won’t play. • This is where you'll discover tomorrow's R&B jams today. Emerging artists, new releases, and tracks that are too hot for the radio – it's all on Slacker Radio's New R&B First. 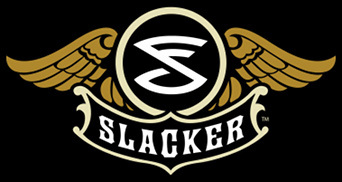 • New Rock First on Slacker Radio is for Rock fans that want to be the first to find out about new music. Emerging bands, new releases, and songs that are too hot for the radio- it's all here, and it's all brand new.